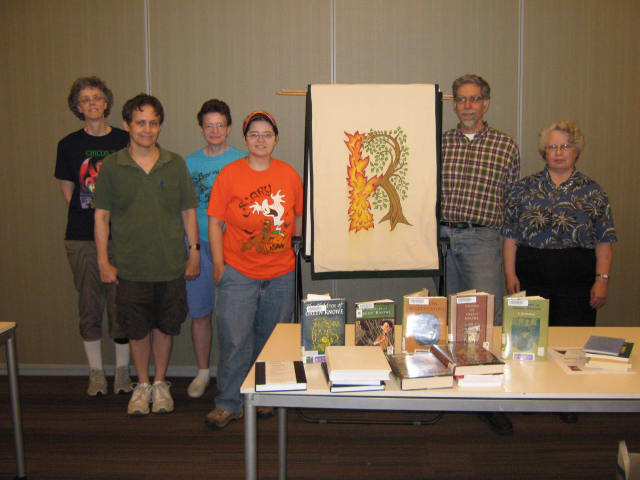 For more than thirty years, the Rivendell Group has been meeting regularly on or near the University of Minnesota-Twin Cities campus to study, discuss and enjoy myth, fantasy and imaginative literature in the traditions of J.R.R. Tolkien, George MacDonald, Christina Rossetti, T.H. White, Ursula K. LeGuin, Evangeline Walton, C.S. Lewis, Peter Beagle, Patricia McKillip, Jorge Luis Borges, John Gardner, and Angela Carter (among others). Formerly, we were also the University of Minnesota Mythopoeic Society, a recognized U of MN student organization. Our constitution is on another page. 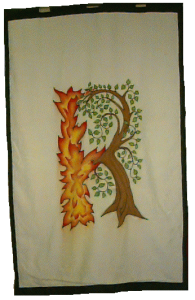 The Rivendell Discussion Group is part of the Mythopoeic Society, a non-profit organization devoted to the study of mythopoeic literature, particularly the works of members of the informal Oxford literary circle known as the “Inklings” (including J. R. R. Tolkien and C. S. Lewis). Posted in Rivendell information	| Comments Off on Welcome! April Rivendell Discussion at Minicon with Jane Yolen, time & room tbd. Topic: her recent “short novel in verse,” Finding Baba Yaga and recent short stories in The Emerald Circus_ and/or Fracturing a Fairy Tale. Elsewhere on this site are some reflections on reading Tolkien by David Lenander that were intended for the Mythlore Tolkien memorial issue, but which were never used, and which included an account of Rivendell activities from years ago. As of 7/27/97, I’ve added some more scanned photographs. Rivendell is affiliated with The Mythopoeic Society, headquartered in California–but membership in the national society is not required, and most local members are not members. There are other similar groups located in scattered geographic locations about the U.S.A. For more information, see the Mythopoeic Society’s list of groups. A recent local event of particular interest was the 30th anniversary commemorative Tolkien Conference, put on by some students at Mankato State University. Ruth Berman, Steve Deyo, David Lenander and Louisa Smith attended from Rivendell. We also hosted a followup to this and to the recent “BREE MOOT” conferences in the midwest (previously, Iowa and Missouri) in May of ’97, coinciding with the revival of the Children’s Theater Company’s production of The Hobbit. See the menu on this page (“Event Archives”) for past Bree Moot conference reports. We’re particularly proud of the creative and scholarly productions of some of our members, and especially of our annual December “Readings from Rivendell” program, where our members have read many stories and poems that were much enjoyed by all listeners–and in many cases, by later readers when these were published. Our occasional newsletter over the years is Last Homely Hearth. I plan to add a number of past articles here. See here for the early history of the Rivendell Group. See also the Eleanor Arnason page for some reproduced material from LHH. Minn-STF web site at: www.mnstf.org/. Minicon web site at: www.mnstf.org/minicon/. Gamesday Players: Board & card gaming almost every Friday evening. FFI: Richard Tatge at 612-827-3228. Our complementary sister- or daughter- group, Second Foundation, meets regularly to discuss Science Fiction. April Rivendell Discussion at Minicon with Jane Yolen, time & room tbd. Topic: her recent “short novel in verse,” Finding Baba Yaga and recent short stories in The Emerald Circus and/or Fracturing a Fairy Tale.